Tokyo is a popular destination among Muslim travellers – and for very good reasons. This metropolitan of lights offer a great urban experience with incredible technology, intriguing culture and endless delights. 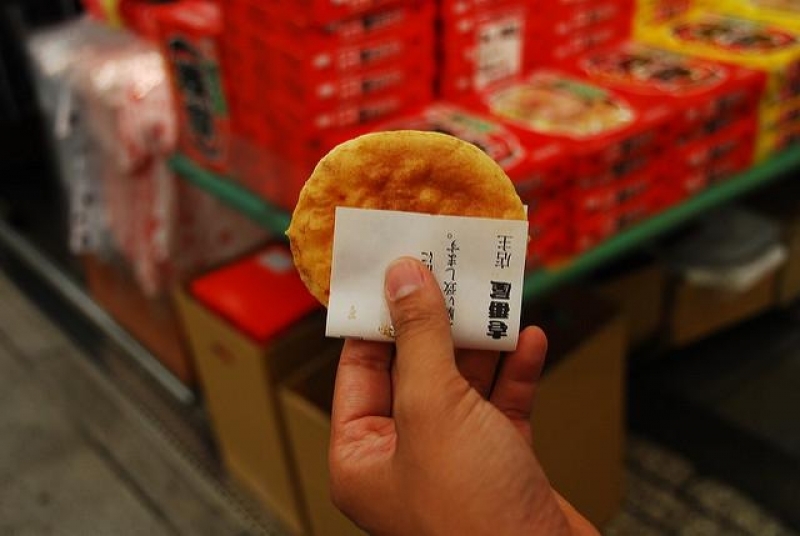 Senbei is Japanese rice crackers that come in different flavours. Rice flour is sprinkled with salt and oil, toasted over a flame and dipped in soy sauce for a rich taste. 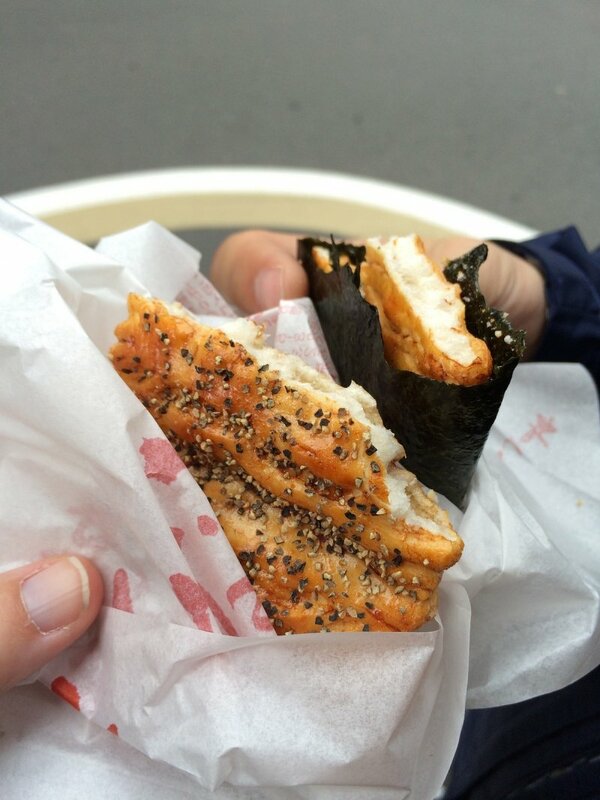 You can find Soyu (soy sauce) Senbei, Nori (seaweed) Senbei, Kuro Goma (black sesame) Senbei, Zarame (sugar) Senbei and the list goes on. 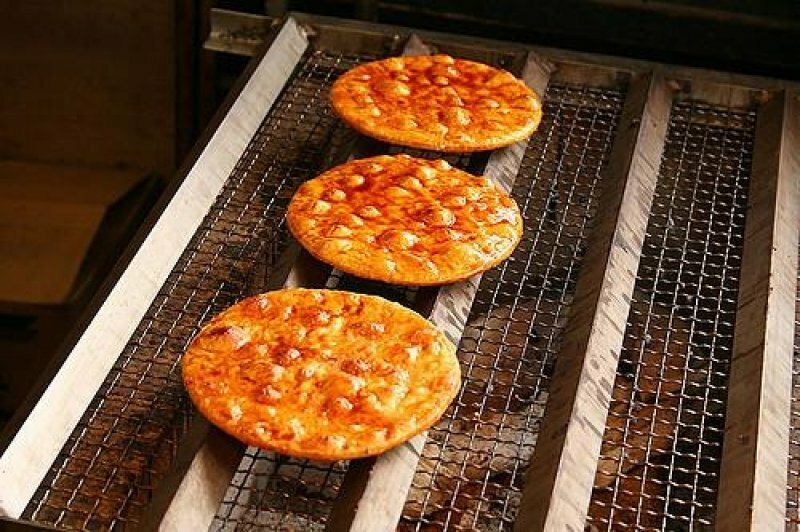 Among all, Soyu Senbei is the most common flavour that you can find along the streets Tokyo. 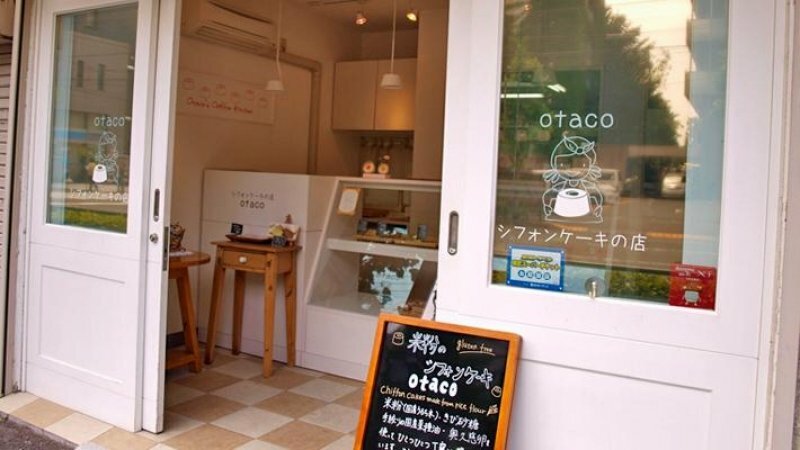 In Asakusa, there are halal-certified and additive-free chiffon cakes found in a shop known as Otaco. 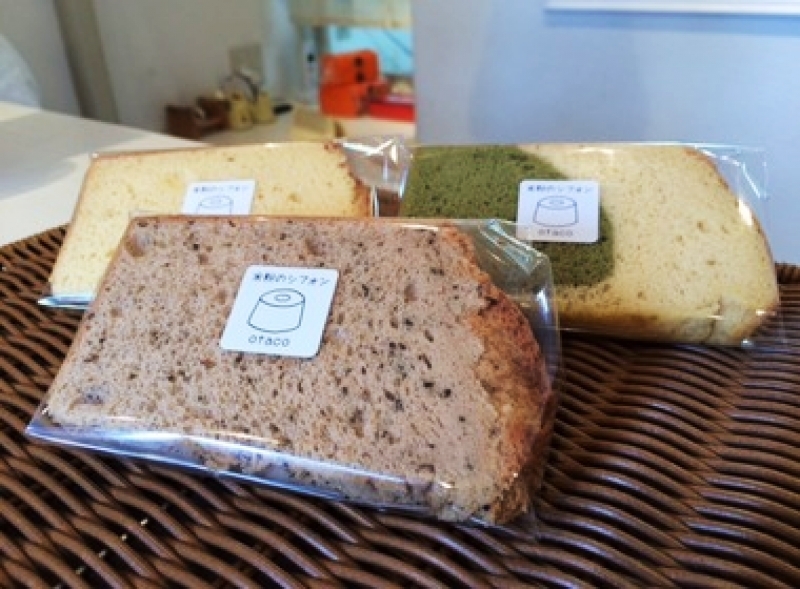 These soft chiffon cakes are made from domestic rice flour and other healthy ingredients such as cane sugar, canola oil and fresh eggs. The best part is that they are handmade and freshly baked each day! They come in different flavours: Earl grey, matcha milk, cocoa and walnut raisin. The shop opens from Monday to Saturday from 10.30am to 6pm. 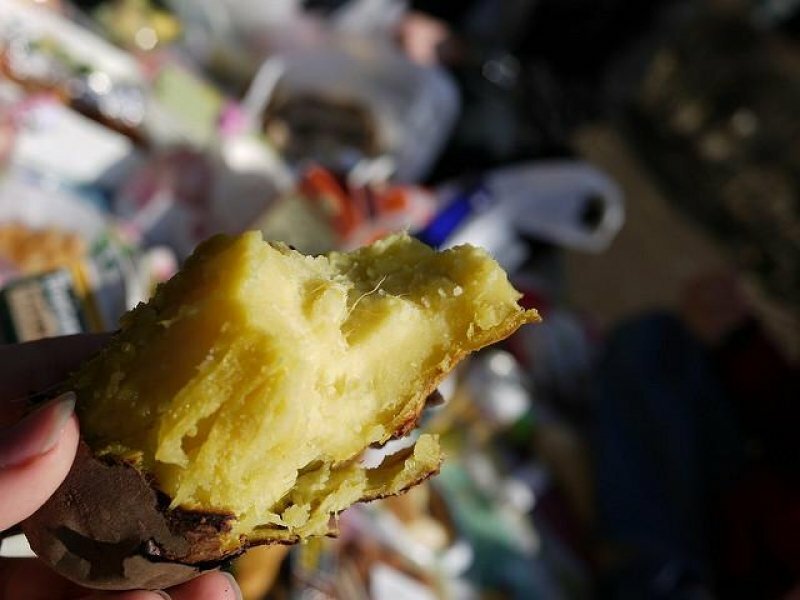 Yaki Imo is basically baked sweet potatoes and they are especially popular in autumn. 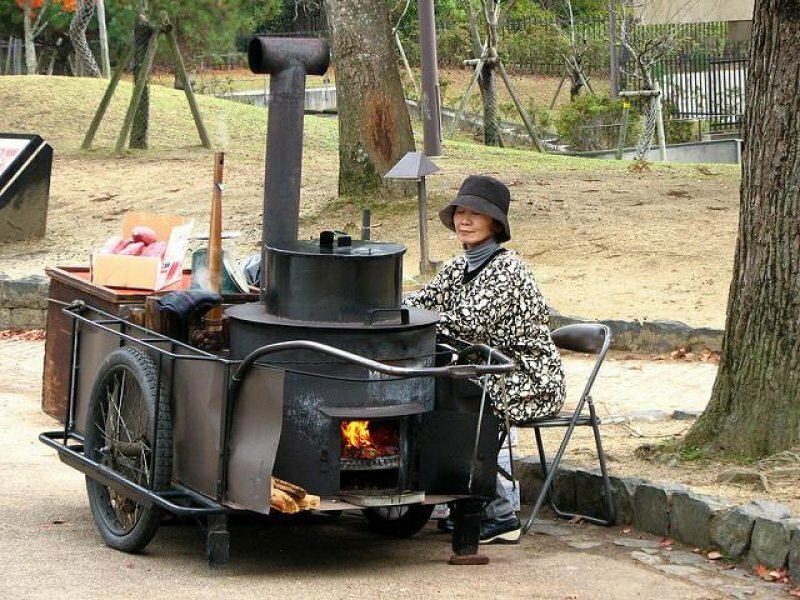 If you come across an ojisan or obasan (uncle or auntie) pushing a cart filled with hot baked potatoes, be sure to try it. Purple on the outside and yellow on the inside, this treat is simple yet satisfying. 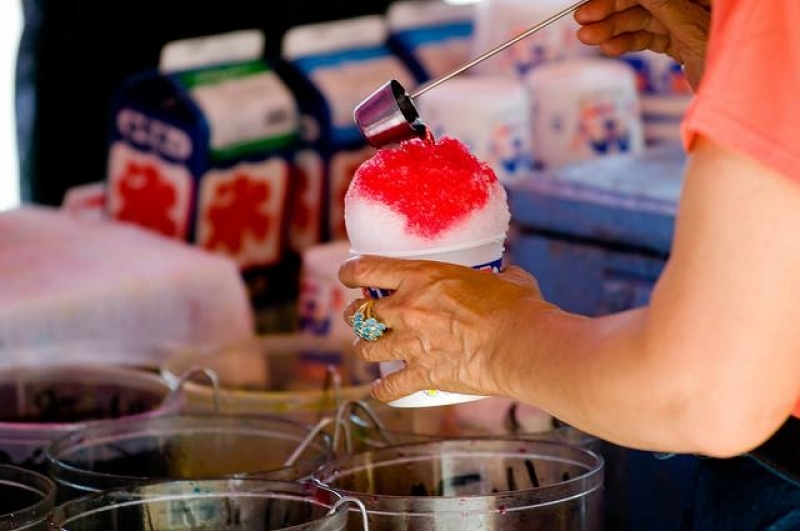 A treat that you won’t be able to resist, Kakigori is shaved ice with flavoured syrup, fruits and sweet toppings. 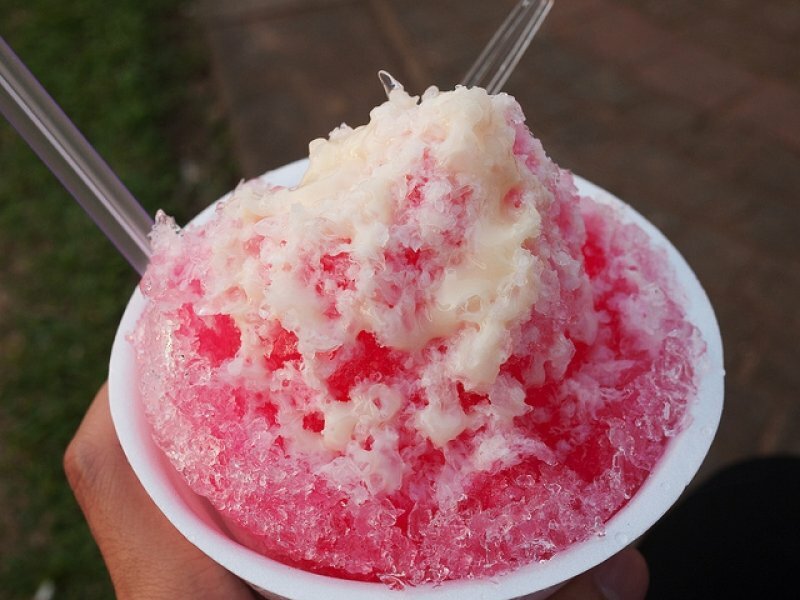 Fluffy and addictive, this is a wonderful treat to enjoy on a sunny day and it comes in flavours like strawberry, lemon, green tea, grape and sweet melon. Japanese Crepes are a speciality of its own, appealing to the eyes as they are to the taste buds. 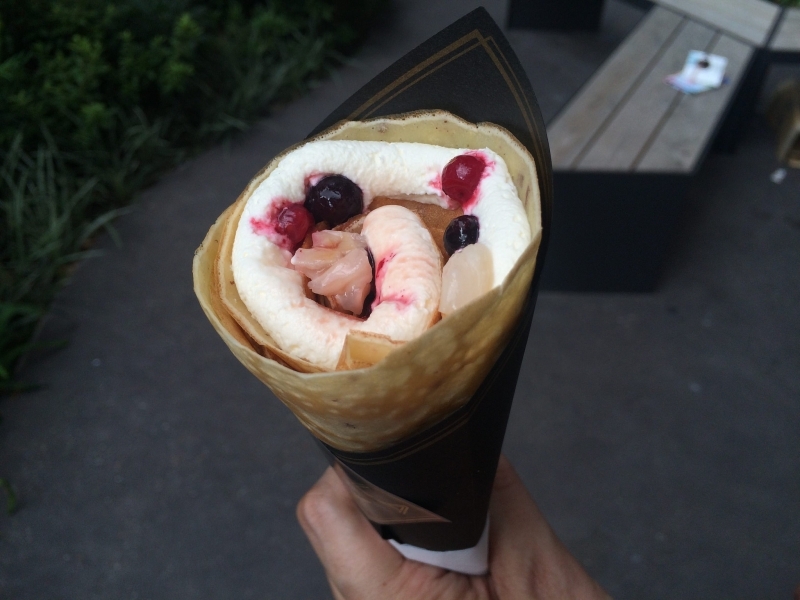 Crepes are probably the hippest of all treats and you can find them almost everywhere. The variety available is astonishing – there are endless flavours and combinations. 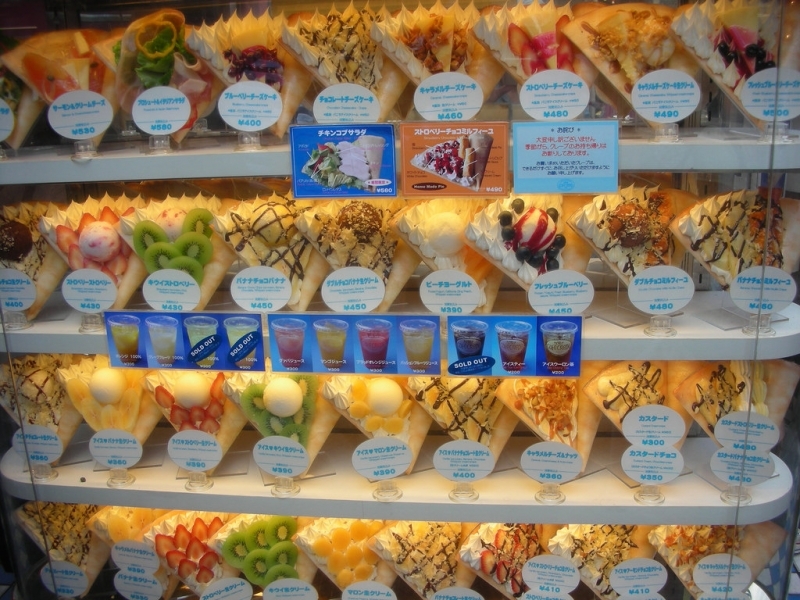 The best place for a crepe-tasting marathon is Harajuku, with popular crepe shops like Angel’s Heart, Marion Crepes and Santa Monica Crepes. Kappou Yama Sakura Jams come in five wonderful flavours: Ehime orange, Yamanashi peach, Saitama blueberry, Tochigi strawberry and Aomori apple. 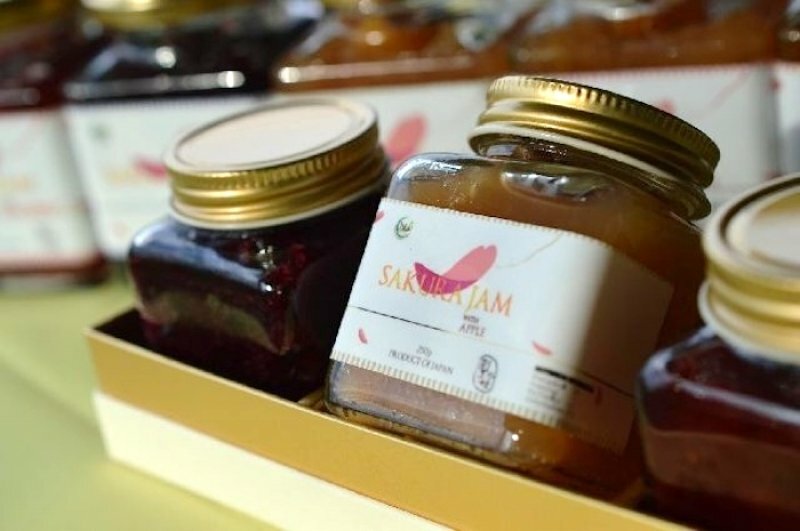 Make this Halal jam an essential treat to bring around in your bag wherever you go. Couple it with bread and it’ll definitely save you at times when Halal eateries are nowhere to be found. You can get a jar or two in Laox stores in Shinjuku and Akihabara. If you happen to catch the sweet scent of freshly baked cakes with a hint of red beans floating in the air, follow it. 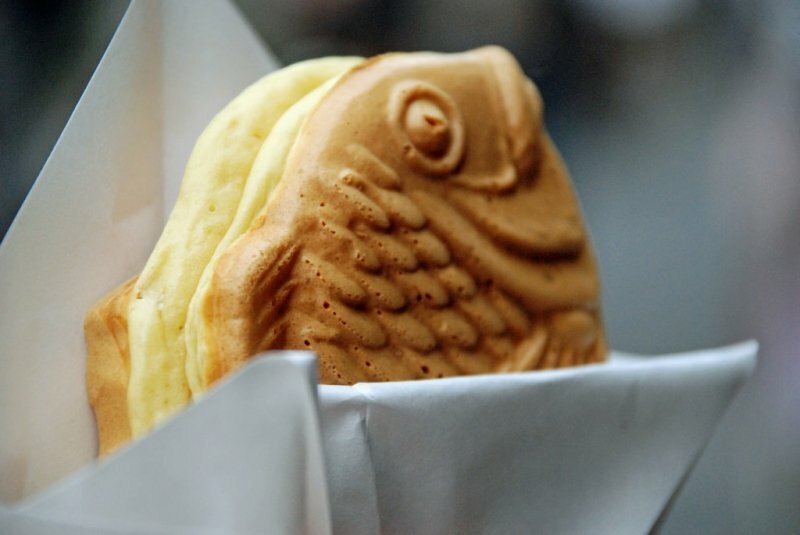 You’ll be greeted by adorable fish-shaped cakes known as Taiyaki. This is a sweet street snack that is well-loved by adults and children alike. 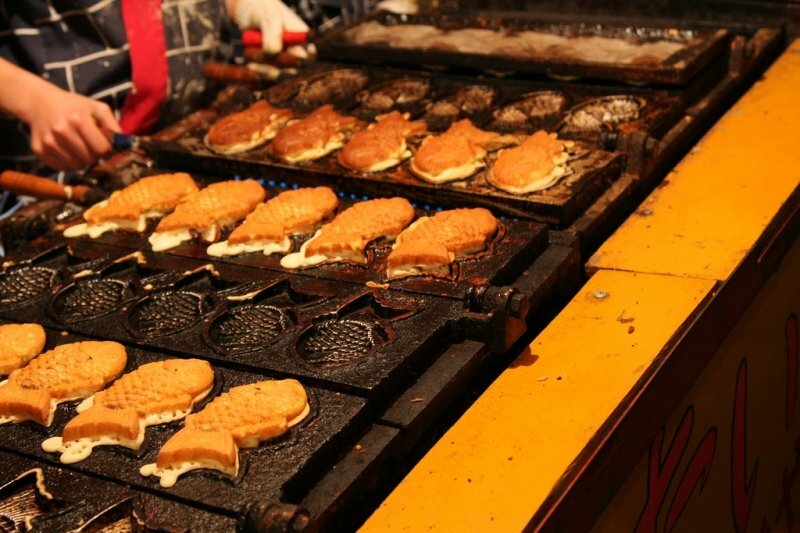 Bite into a Taiyaki and it will bless your taste buds with red bean paste made from sweetened azuki beans. Custard and even chocolate fillings are sometimes available too! 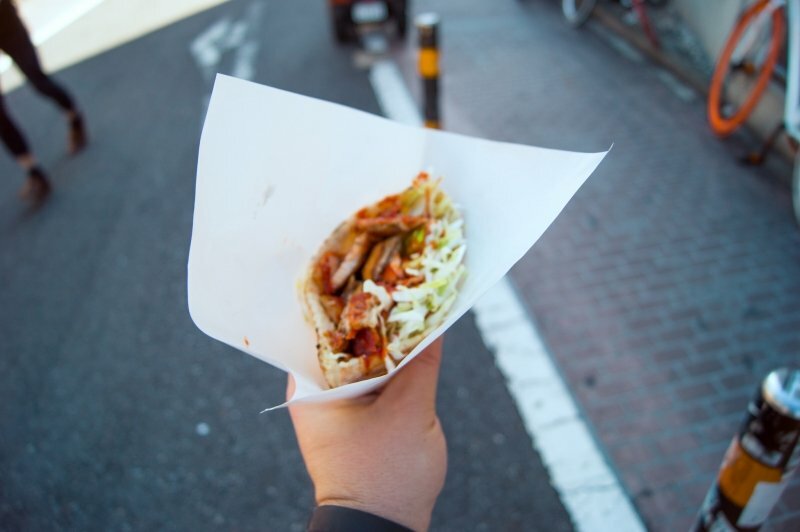 Halal Kebabs are a must-try street food in Tokyo for all hungry travellers. It is a delightful combination of Halal chicken or beef meats, or a mix of both, served with fresh vegetables and savoury sauces of your choosing, all wrapped up in a Turkish pita bread. 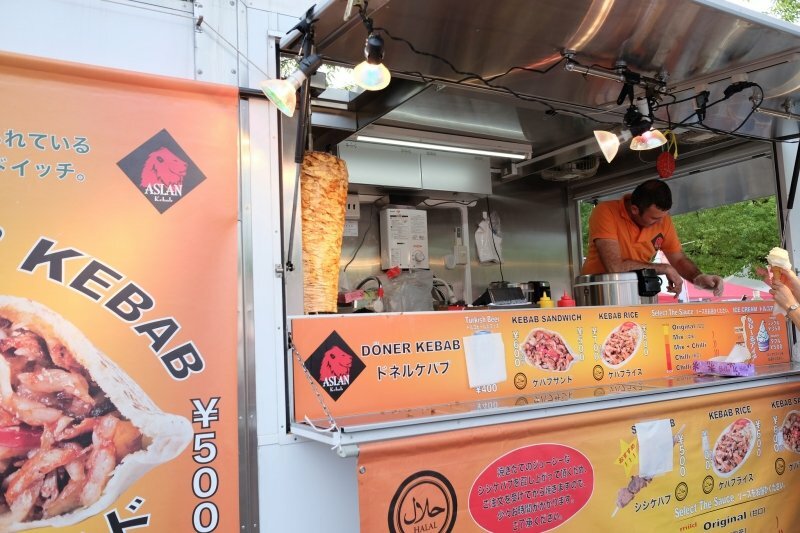 There are a couple of places where you can find these Halal kebabs, and prices range from just ¥500. Jumbo Doner Kebab, Location: Ameyoko shopping street. Ueno station (JR Yamanote line), central exit, about 5 minutes walk. Star Kebab Takeaway, Location: 1-8-10 Soto kanda, Chiyoda-ku, Tokyo. Nearest station is JR Akihabara station. Kebab Box J, Location: COXY 188 Building 1F, 1-8-8 Jingumae, Shibuya-ku, Tokyo. Meiji-Jingumae Station (Chiyoda, Fukutoshin lines), exit 5. Kebab Ye, Location: Dairokusanwa Building 1F, 6-7 Shinjuku 3-chome, Shinjuku-ku, Tokyo. A few blocks from the Shinju-ku station and right above the Shinjuku-3-Chome station. Add all of these yummy treats to your “to-taste” list in Tokyo! They won’t make a dent in your wallet but they’ll definitely fill your tummy with great joy!